Hello! It's already August and despite all the gross sweatiness that comes with summer, I'm sad to admit that it'll be over in a blink. 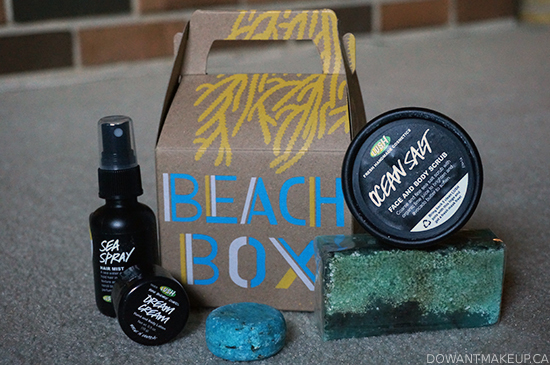 That's also about how much time you have to pick up LUSH's limited edition Beach Box ($29.95 CAD). Not exactly my cleanest work, but I'm pretty happy with the results! The base is Mineral Fusion's Fossil, which is a perfect beige-tan putty and applies gorgeously. 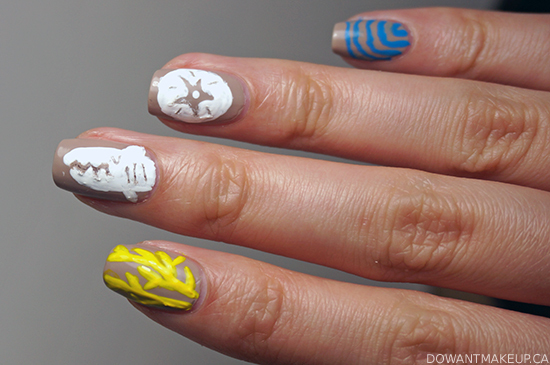 I cheated a bit for the art and used acrylic paint for the opacity, which is why the coral has a 3D thing going on. 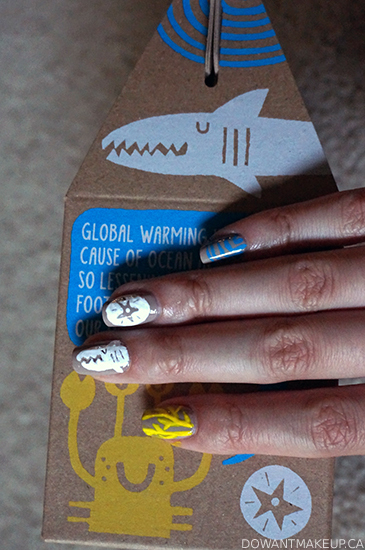 I'm especially happy with how the shark turned out. 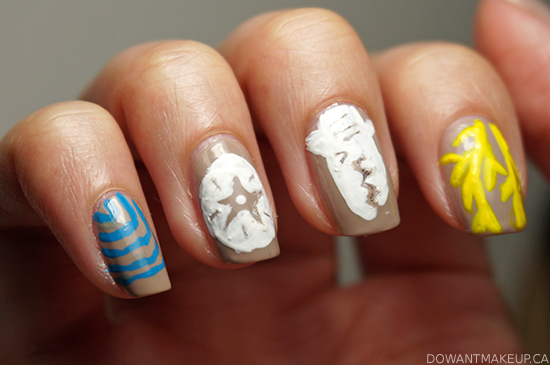 The crab is really cute too, but I thought it was a little too ambitious and difficult to fit on a nail. I'm really proud of what I did and became quite scared about how badly smudged it might become after applying top coat, so I took tons of pictures before cleaning it up and laying on the Seche Vite. 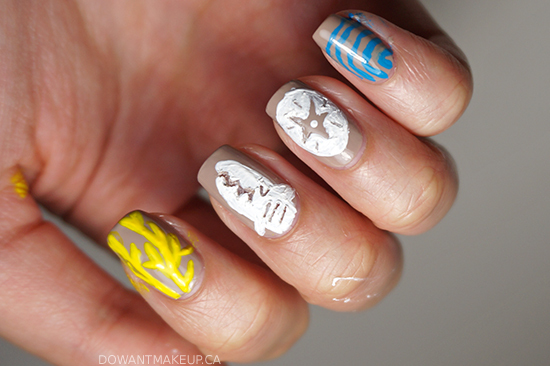 Luckily, all that acrylic paint hardly budged, but I kept some pre-top coat pictures anyway; the brushstrokes in the shark and sand dollar are more prominent and kinda interesting. Stay tuned for my thoughts on the Beach Box set!